Nissan Aichi Machine Industry developed the QG16DE engine. The 1.8-liter QG18DE engine was created on its base as the same as QG15DE. The QG16DE came to replace the GA16DE engine. 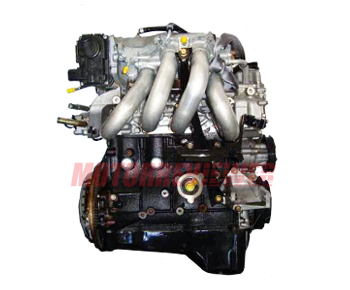 The engine has cast iron cylinder block, aluminum twin cam 16-valve cylinder head. There are timing chain, variable valve timing system on the intake camshaft (CVTC), EGR system (for exhaust gas recirculation, thereby reducing exhaust emissions) and electronic throttle. There are solid tappets (not hydraulic). The QG16DE offers a suitable power (110-120 hp). In general, the engine is quite good for budget cars. If you need more power version, look at the two-liter QR20DE engine. 1. Stretched timing chain of the QG16DE is typical for this engine. Symptoms: the engine turn on difficult; floating idle rpm; increased noise; a bad acceleration. The chain is dead up to 100,000 miles mileage. 2. The engine is turned on just after a few tries. You need to clean a throttle valve and replace the fuel pump grid. In extreme cases, you have to buy the new fuel pump. 3. Some noise, like whistling. The alternator belt produces this sound. It needs replacing together with rollers. 4. Engine shakes at low rpm. Pay attention to engine controller unit - some problems are in the software. 5. Cars with this engine have unreliable catalysts, and as you know, a catalyst is a quite expensive part. 6. Throttle valve loves to become dirty. Simple clinging will help.